AV Connections, Inc. event lighting shone at a gala banquet in Charleston recently for Palmetto Medical Initiative. 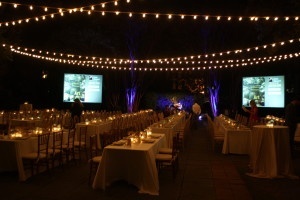 Our team created an beautiful outdoor party atmosphere with strings of cafe bulb lighting and uplighting. 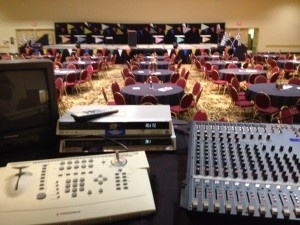 We also provided two video screens for audio visual presentation support during the event. 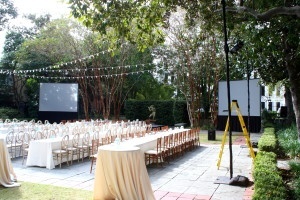 Set up for the event lighting and audio visual staging took most of the day in the courtyard of the Gibbes Museum of Charleston, which was the site of this twinkling evening. 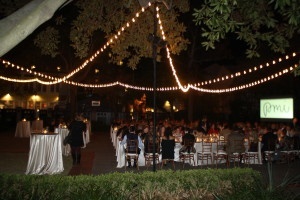 Once night fell, our banquet gala gel uplighting and audio visual staging excellence really became apparent. 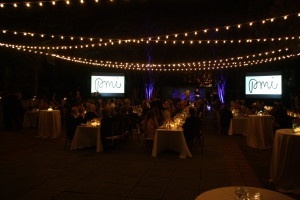 The courtyard was completely transformed by our lighting into a gala stage. 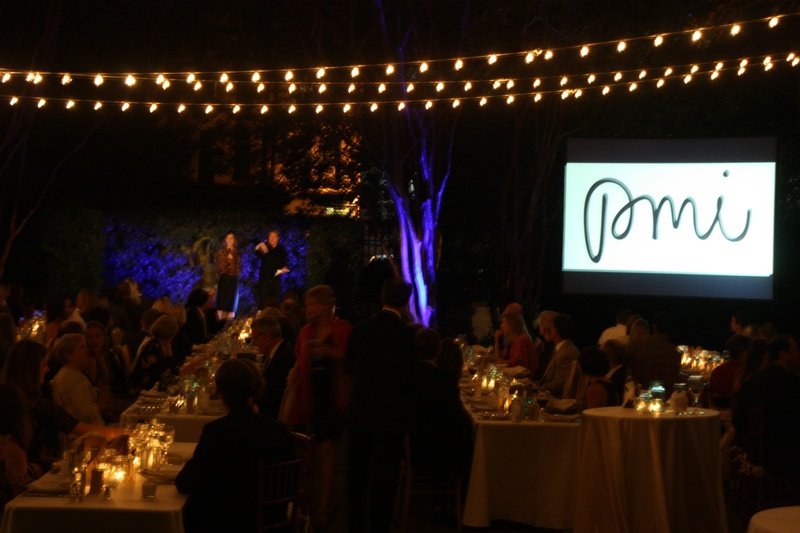 Palmetto Medical Initiative does a lot of great work around the world being care and resources to areas where it's programs are relied upon as the cheif source of medicine. The major programs PMI is currently addressing are in Central America and East Africa. 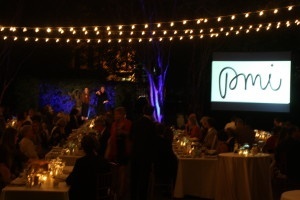 We admire them for their tireless work to bring better health care and safe conditions to the world we share. And we are so glad we could help them create a very special outdoor gala evening event in Charleston with our cafe bulb lighting, uplighting, and audio visual equipment staging. 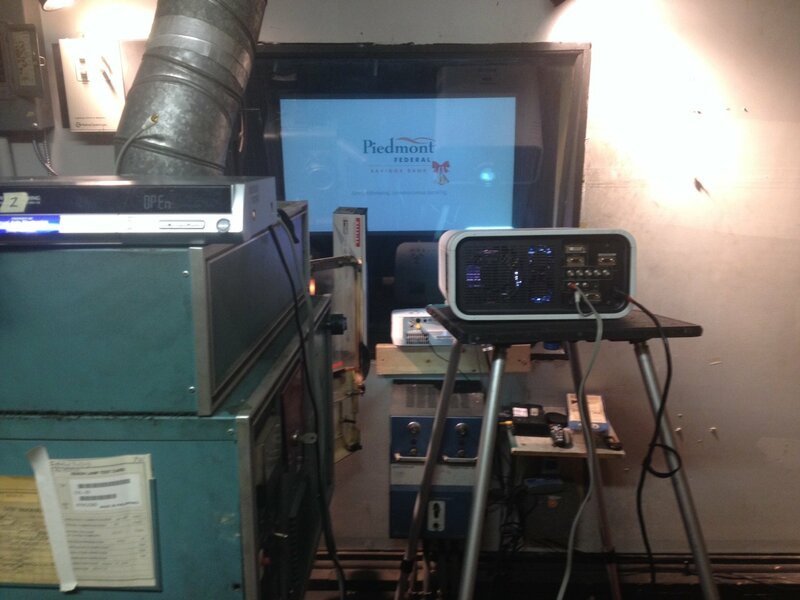 Audiovisual projector rentals for movie showing in North Carolina by AV Connections, Inc.
We were pleased to provide movie projector rentals and staging for Piedmont Federal Savings bank screening of It's a Wonderful Life at the Liberty Theater in North Carolina! We traveled to beautiful downtown North Wilkesboro, North Carolina's Liberty Theatre where we brought in movie projector rentals and equipment. Today's movie projector rentals are showing It's a Wonderful Life for the Piedmont Federal Savings Bank's holiday season kickoff event! 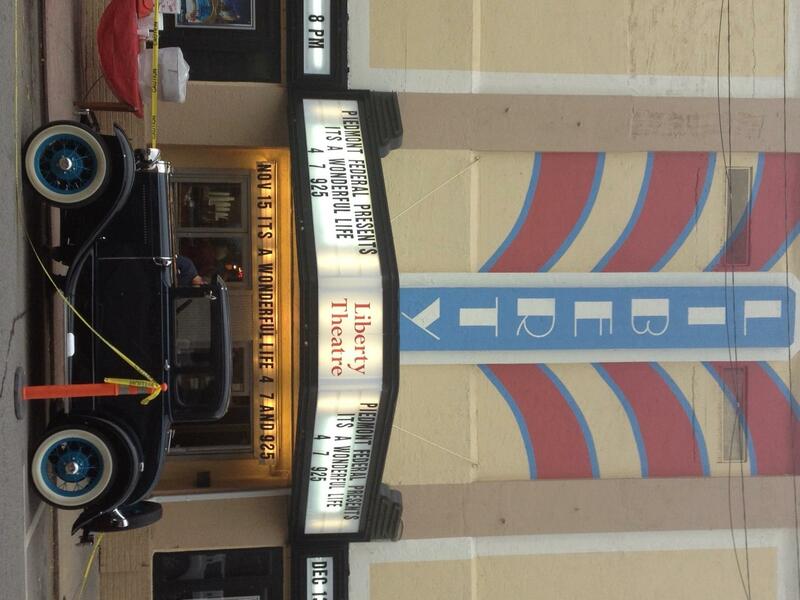 Show times were at 4:00, 7:00, and 10:00 pm. 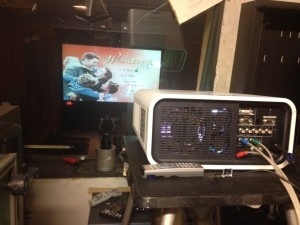 Just a great way to start the holiday season with a showing of one of America's (and our) favorite vintage holiday movies! 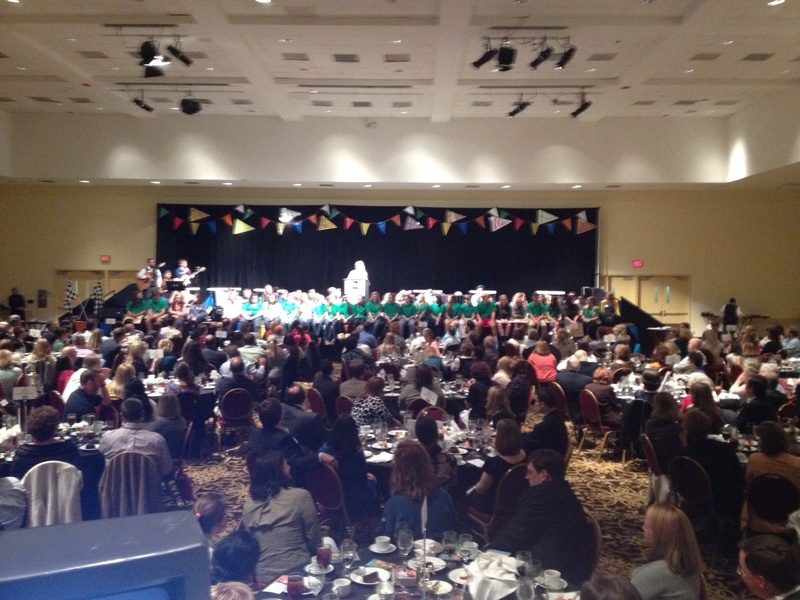 This week we have been working audiovisual and lighting for a great job for a fabulous client, the annual Young Life Banquet held at the Benton Convention Center in our hometown, beautiful downtown Winston-Salem, NC. 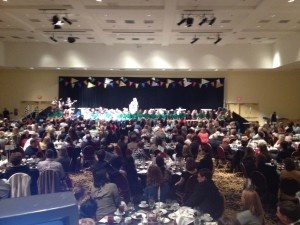 We do a great deal of work at the Benton Convention Center, long a favorite North Carolina location venue for meetings, conferences, and events. 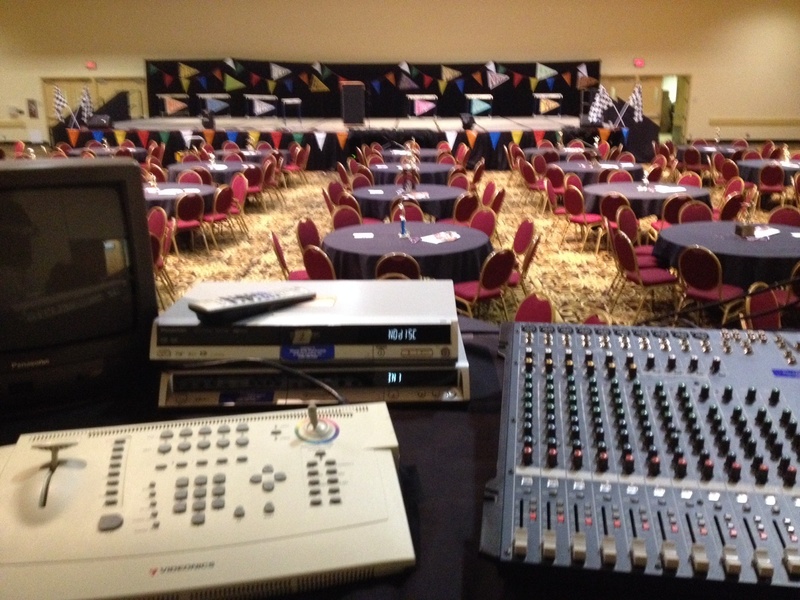 We know all the in's and out's of providing audiovisual lighting for this North Carolina conference venue and we are always pleased to be on site! 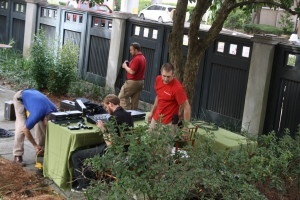 Iit is a well-oiled machine of efficiency for events and we have the pleasure of working along side longtime clients and colleagues, many we have known since we opened our audiovisual lighting business, AV Connections, Inc. in North Carolina 28 years ago.